Is there a “Discount Code for P90X”? Short answer…no. There isn’t a discount code for P90X. 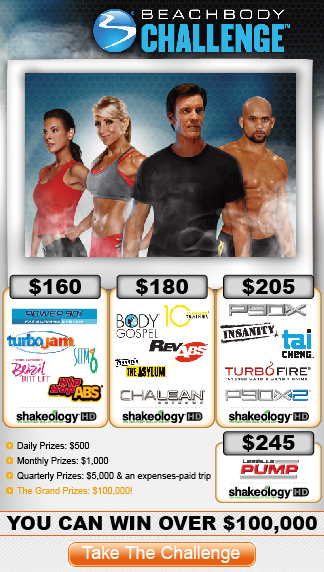 Lets go over what comes with P90X and then look at the price and determine whether or not it’s worth $119. So whats in the deal for me? A community of people who are just like you, that you can chat with, plus the opportunity to chat with Tony himself on the message boards. So lets talk about each one for just a minute. The P90X Fitness Guide is exactly what it sounds like. 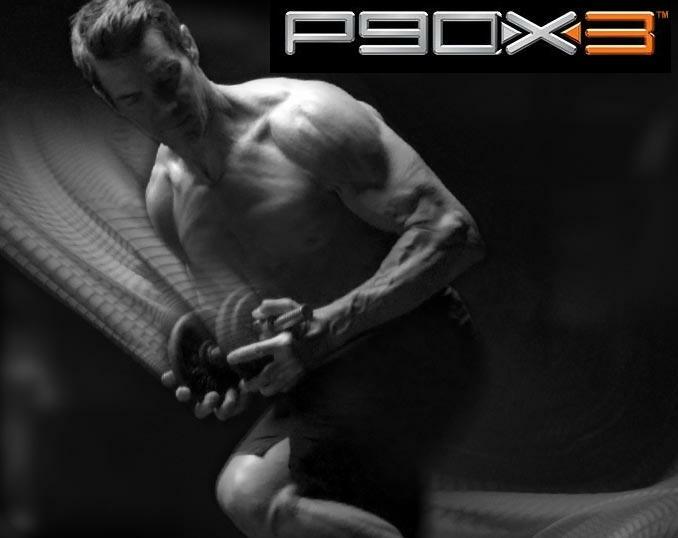 I has the story behind P90X, what you can expect in your 90 day journey and tips for getting started. It has your P90X Fit Test and calendar schedule for the workout that you want to do. There are 3 workout schedule to choose from…you can pick which one works best for you when you read up on it. The guide also give you a defintion on Muscle Confusion – what P90X is based on. Check it out below. The P90X Nutrition Guide again is pretty much self explanatory. I will say that this is the Master of ALL nutrition guides. It has a 3 phase plan to guide you seamlessly through you 90 days. Its absolutely fool proof. Remember nutrition goes hand in hand with your fitness. Muscles are made in the gym, abs are made in the kitchen. fly movements that will leave you stronger and more defined. your physique and calm your mind. kicking for endurance, balance, and coordination. workout emphasizing two classic upper-body exercises. tightening those showcase upper-body muscles. Team Beachbody Coach…well thats me! If you order through this site your automatically assigned with me. My goal is to help you reach your goals! I’ll be hear to help answer any questions you have from Day 1 to Day 90 of P90X and longer. Really for as long as you need me. We’ll always be linked up. Thats a pretty sweet deal to get a coach, you don’t have to pay! I’ll show you how to get your Free P90X shirt after you’ve completed your 90 days of P90X. Another benefit from ordering through this site, is you’ll become a member of the Team Beachbody Community. These people are all just normal folks that like you are either starting on their workout journey or are simply addicted to the lifestyle and the fun and informative atmosphere of the Beachbody Community! This is definitely a safe zone. 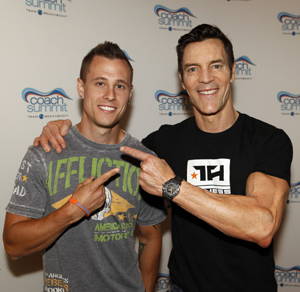 I love all those people, plus getting to chat with Tony Horton once in a while is pretty sweet too! I know I need Equipment. What do I need? 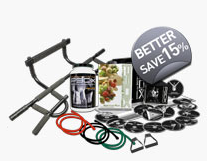 There are some things you need for P90X. Resistance bands or dumbbells, a pull-up bar, and plyo and/or yoga mat are optional. Most all these things you can get right here. If equipment is something you really want to know about, check out this blog post on What do I Need to do P90X? So are you ready for the next 90 days? You don’t need a discount code to get in shape. You get so much just for the small amount of $119. It also comes with a 30 day money back guarantee. What do you have to lose? IM READY TO DO P90X! Will P90X work for fat or obese people? Well the short answer is YES! P90X was developed with all body types in mind. The P90X program comes with 12 DVD’s of different workouts and the P90X Diet Guide. This is how the program works. You get the Nutrition + Fitness + Support and that = Success! You can get the Nutritional aspect through 1 of 2 places. With this handy book, you’ll see what to to eat and how to fix it. It tells you when you should eat and what to expect in the changes of your body. The 1st Phase is the fat Shredder. This gives you a diet to follow thats made up of the right kinds of food, to help you shred fat while still giving your body everything it needs while doing a workout like P90X. In having the Beachbody Club Membership you have a little more flexibility in what you eat. The P90X Diet guide was designed specifically for P90X, however the Club Membership is also a good source for an easy meal plan that you could follow for the rest of your life! Very inexpensive too! No matter which guide you choose to follow, remember that you need to choose 1 to go by. What you eat is just as important as your workout!!!! Shakeology is also a great way to pump your body full of nutrients! Made up of whole foods it really gives your body what it needs and boost your weight loss while helping you to feel better and more energized! I would highly recommend you drink this Shake! My house does every single day! The Fitness side of P90X is pretty much self explanatory! You will receive a fitness guide to follow. It has a calendar that you will use so you know which workout to do, on the right day! 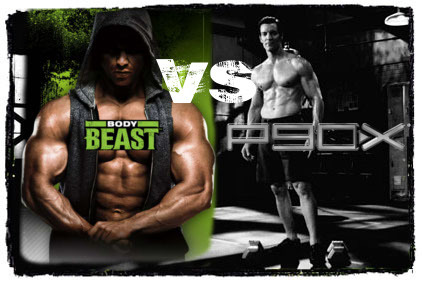 You choose whether you want to do the P90X Classic, Lean or Doubles version. Now for extremely large people, you probably wont have the flexibility or strength to do all the workouts. I personally would suggest that you start out with the P90X Lean version. There is less weights and more cardio that will help you adjust to the workouts and moves, until your ready for the Classic version. The best part about P90X is once you complete a 90 day cycle you can do another one, and another one, until you reach your goals. And from that point you could consider other workouts. The bottom line is this. If you consider yourself fat or obese, stop trying to limit what you can do! 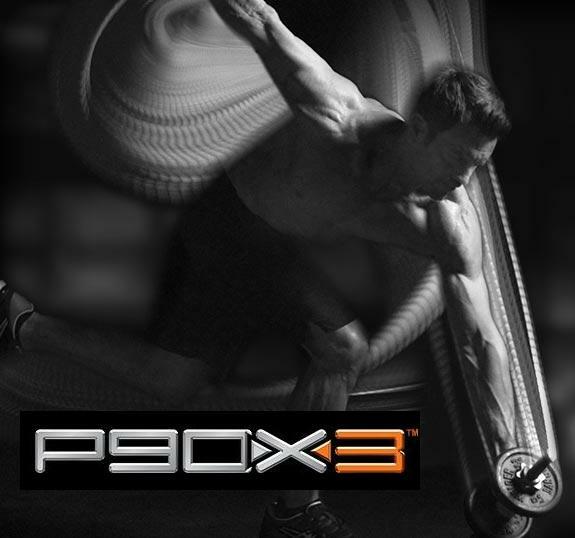 P90X is the perfect program for you to shred fat, get lean muscle and learn a new and health eating lifestyle. Don’t limit yourself because of your size or weight. Simply do what you can. Like Tony Horton always says, “Just do your best and forget the rest!” That’s always enough! Check out Tony’s Pay it Forward workout to get a small taste of what it’s like to workout with Tony!